Seen at the 2010 Derby Fire Shop 19th June 2010, new to Buckinghamshire Fire & Rescue Service this Renault Water Tender with bodywork by Emergency One. Added by Tom on 20 June 2010. 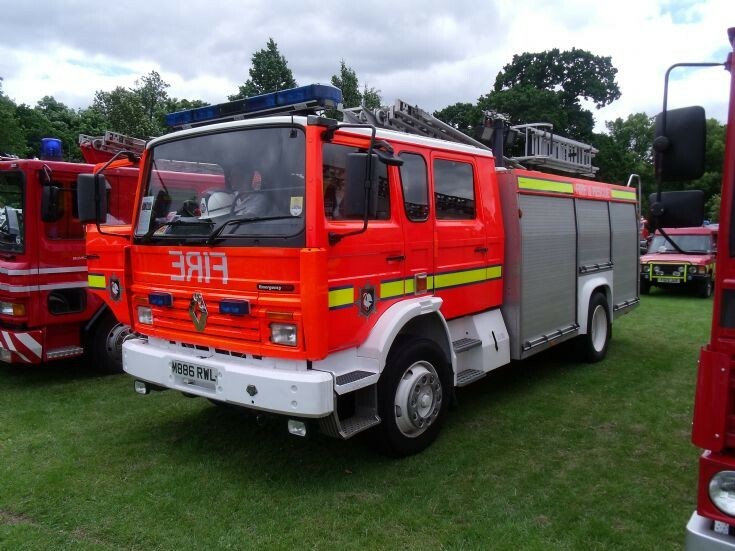 Did any other British fire service run Renaults besides Bucks? Rob, if memory serves correctly Avon ran some Renault's at one time. At one point Avon's entire pumping fleet were Renault plus an HP, OSU and Road/Rail unit. Added by Avonmouth on 17 May 2018. If my memory serves me correctly Greater Manchester ran some Renaults too. Added by Yelp Bullhorn on 19 May 2018.